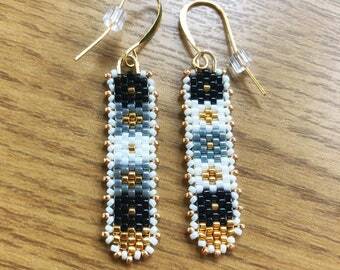 This listing features a pair of beautiful and timeless in design beaded crystal earrings. 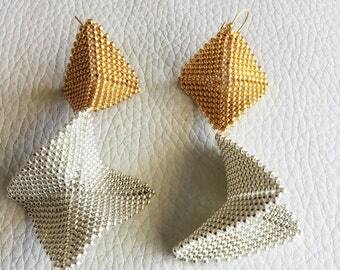 Four czech crystals have been bead woven with premium quality Japanese glass seed beads, to form a cute snowflake design, which hangs on long yellow gold plated ear wire. 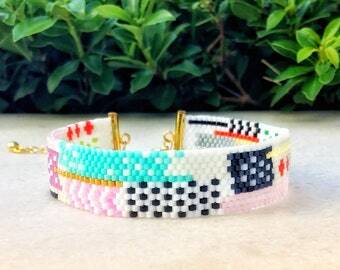 There are three color combinations available. 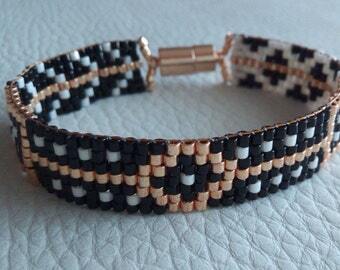 The first is made of opaque dark red color crystals and yellow polished gold color seed beads. 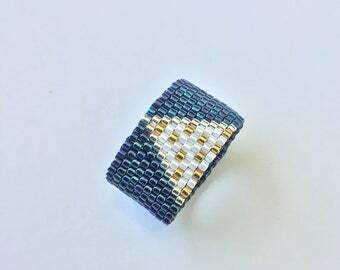 The second features clear pink crystals and gold lavender color seed beads. 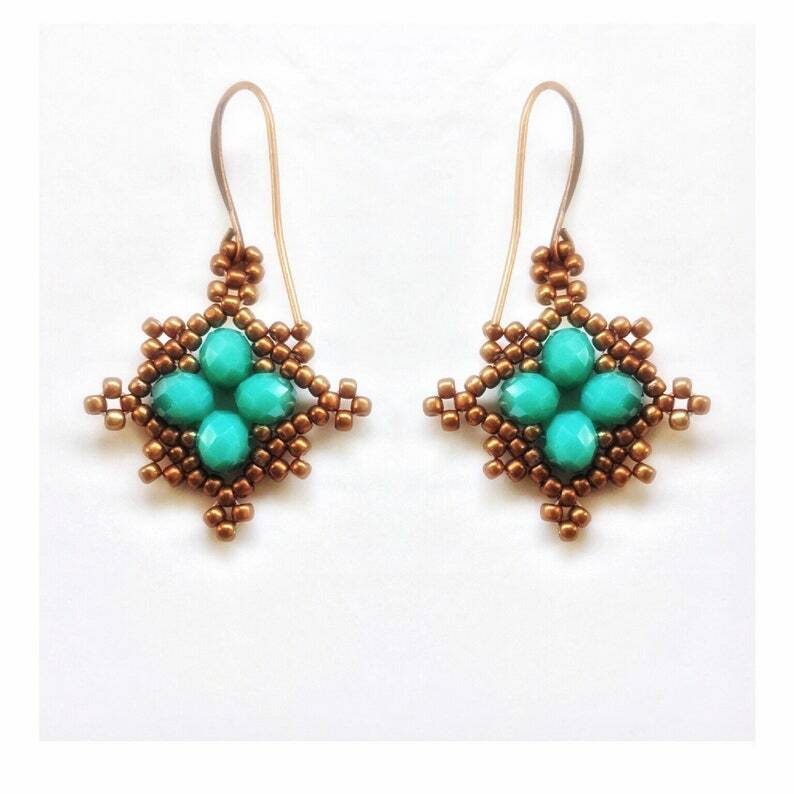 The third is made of turquoise green crystals and metallic copper seed beads. All pairs come with silicon stoppers. 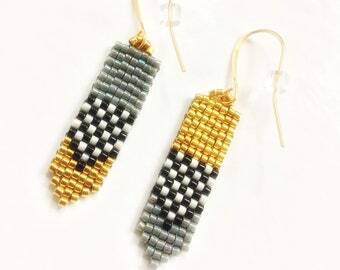 These lovely earrings are very lightweight; you can hardly feel them on. They can match perfectly many of your outfits. 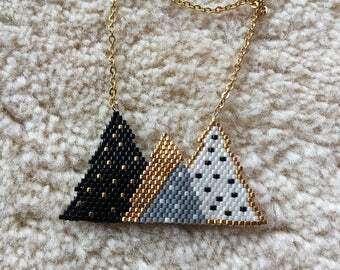 They also make an excellent handmade gift for your sister or best friend.